2016 was the deadliest year for Palestinian children in a decade. We must stop this targeting of children. 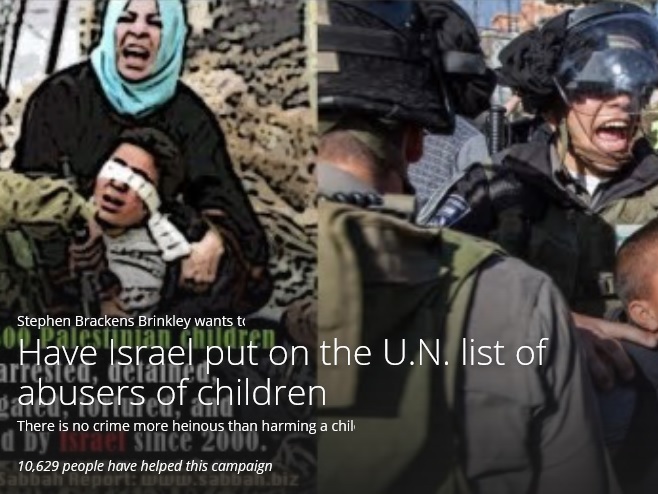 Israel must be put on the UN List as abusers of children. Won't you help by signing the petition if you have not and sharing the petition with your contacts? The children NEED and DESERVE our help!! !